Riesling is a white-wine grape originating in the Rhine Valley of Germany. It is generally considered one of the dozen and a half or so of world-class white-wine grapes (those in boldface in the varietals list to the left of the page); in fact, many wine experts would class Riesling the greatest wine grape in the world, ahead of such red superstars as Pinot Noir and Cabernet Sauvignon—despite which it gets little respect in the U.S., being widely regarded as simply cheap, simple, sweet plonk. 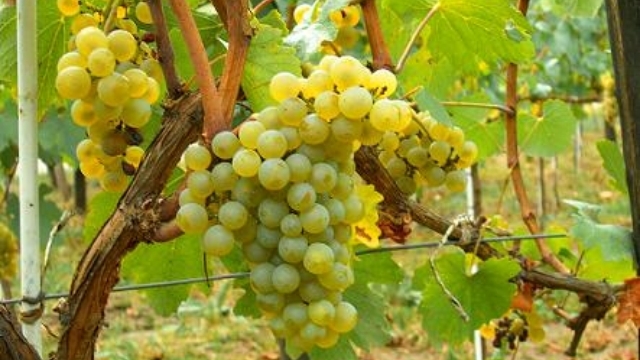 The Riesling grape is naturally a very high-acid grape, which means that when properly vinified, it can not merely withstand bottle age, but continue to develop and improve, sometimes for many decades. The high acid, combined with high natural sugars, makes possible a very evenly-balanced wine, which can well display the rich and deep flavors also natural to the grape. Riesling wines are typically highly aromatic, with complex and profound floral scents in the nose, which also appear in the taste. Moreover, it is a wine that is quite apt at displaying the much-prized quality of terroir (at least when respectfully vinified). Curiously, fine Rieslings also exhibit a quality commonly described as "petrol", which does not sound at all appetizing but which somehow, in Rieslings, manages to be so (though some wine drinkers are so repelled by the idea that mention of it as a Riesling characteristic is being downplayed by makers, some of whom even strive to minimize or eliminate it, despite the harm they thereby do to the overall flavor, character, and age-worthiness of their wines). Riesling is very rarely blended, and almost as rarely sees any oak (save occasionally some "neutral" oak). It is never made as a "woody" wine. The biggest problem Riesling presents to the consumer is its sweetness: not how sweet it is or isn't, but knowing how sweet it is or isn't. Rieslings can be and are vinified everywhere from bone dry (especially in Alsatia) to dessert-sweet (many German wineries produce a veritable host of Riesling bottlings, differing chiefly in their sweetness), and it was long a problem for shoppers, even with a bottle in hand to inspect, to try to determine which sort they might be dealing with. Especially for Old World Rieslings is this difficult: Goethe famously remarked that "Life is too short to drink poor wine," leading Martin Amis to wittily remark something to the effect that a German wine label is another thing life's too short for. Fortunately, in recent years an organization called the International Riesling Foundation came up with a uniform sweetness-labelling scheme that now adorns many bottles of Riesling. Its essence is four levels of sweetness: Dry; Medium Dry; Medium Sweet; and Sweet. But if you encounter bottles not so labelled, here's a clue: look at the alcohol content. If the alcohol is 11% or under, the wine is definitely off dry; if it is 13% or above, the wine is dry; if it is from 11% to 13%, the sweetness is probably proportionately along the spectrum ("probably" because other factors influence the perception of sweetness in a wine). Note that label notes other than those set forth by the IRF are chancey guides at best; many an American-made Riesling labelled "dry" would go best with the dessert course. Nor are the classic Germanic "ripeness" terms (Kabinett, Spätlese, Auslese, and so forth), even if you memorize them, much help, because the ripeness only indicates the potential of the grapes—a given vintner can vinify a given lot of grape juice as he or she pleases, making (for example) a "Spätlese" that is actually drier than a "Kabinett", though the Spätlese juice was originally higher in sugars. In the end, the consumer must, if there is no IRF mark available, go by the alcohol content and, ideally, by the reputation of the wine (which requires some foresight and study). Even if you have an appetite for all levels of sweetness, you still want to know which one you're going to get on a given day. Riesling does well in cool climates, thriving where other "noble" grapes might struggle, and so has ben popular in regions with limited climatic possibilities for wine. Probably the most important Riesling sources today are, more or less but not exactly in this order, Germany, the Alsace region of France, Austria, Australia and New Zealand, the U.S., and Canada, though those are far from all. There is no definite pattern associating style with region, but broadly speaking the middle-European makers tend to go for dry Rieslings, while new World makers tend to style a bit off dry. The regional wines also vary a deal owing to the differing soils in which they are grown, the wine being, as already noted, excellent at conveying terroir. Not many makers are producing the great Rieslings that want one or more decades of aging to approach their full potential, but there are probably more Alsatians of that sort than in the other regions. 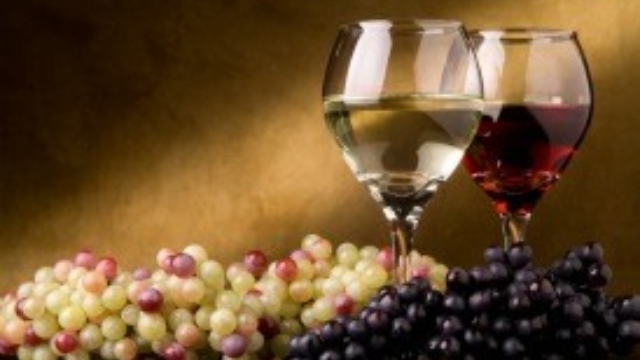 Germany: "transparency" in flavor and presentation of terroir; balance between fruit and mineral flavors. Alsace: mostly very dry with cleansing acidity and a thick body that coats the palate. Austria: generally thick bodied with a strong clarity of flavor and rich aroma; typically a long finish that includes hints of white pepper. Australia: an oily texture and citrus fruit flavors in their youth, with a smooth balance of freshness and acid as they age. New Zealand: lighter and more delicate wines. U.S.: there are intramural variations—New York State, an effervescent light body with a similarly light, mellow flavor, dynamic though rarely robust; California, softer, fuller, and more diverse flavors than a typical German Riesling; Washington State, crisp lightness with an easily detectable peach and mineral complex. Canada: especially rich and bright. Again a caution: those are rough rules of thumb with, no doubt, countless exceptions. Factoid: Riesling has its own producer society, the International Riesling Foundation, whose web site is a useful resource on the subject. "In cool climates, (such as many German wine regions) Riesling wines tend to exhibit apple and tree fruit notes with noticeable levels of acidity that is sometimes balanced with residual sugar. A late-ripening variety that can develop more citrus and peach notes in warmer climates (such as Alsace, parts of Austria). In Australia, Riesling is often noted for a characteristic lime note that tends to emerge in examples from the Clare and Eden Valley in South Australia. Riesling's naturally high acidity and pronounce fruit flavors gives wines made from the grape immense aging potential with well-made examples from favorable vintages often developing smokey, honey notes and aged German Rieslings, in particular, taking on a 'petrol' character.…Riesling wines are often consumed when young, when they make a fruity and aromatic wine which may have aromas of green or other apples, grapefruit, peach, gooseberry, honey, rose blossom or cut green grass, and usually a crisp taste due to the high acidity. However, Riesling's naturally high acidity and range of flavo rs make it suitable for extended aging. International wine expert Michael Broadbent rates aged German Rieslings, some hundreds of years old, highly.…On release, certain Riesling wines reveal a striking petrol note (goût de pétrole in French) which is sometimes described with associations to kerosene, lubricant or rubber. While an integral part of the aroma profile of mature Riesling and sought after by many experienced drinkers, it may be off-putting to those unaccustomed to it, and those who primarily seek young and fruity aromas in their wine." "Riesling wines can be highly aromatic with apple, peach and pear at the forefront mixed with delicate floral undertones and often honey and spice on the nose. On the palate, Rieslings echo the apple, pear and peach along with citrus and tropical nuances. Rieslings tend to pick up a noticeable "minerality" from their native soils, explaining why hints of slate or limestone can be exhibited." "Tasting Riesling starts in your nose. It's one of the most aromatic grape varieties in the world. The primary fruit aromas in Riesling are nectarine, apricot, honey-crisp apple and pear. Besides just fruit, you'll often smell things like honeycomb or even to a chemical aroma similar to petrol/gas. Believe it or not, it's these weird smells that wine enthusiasts go gaga over. Riesling is very high acid, almost to the level of a tart fruit juice like lemonade." "Most rocks when ground to smithereens do not have much taste or flavor. Nevertheless, few would dispute that Rieslings grown from differing soil profiles often exhibit extremely different organoleptic characteristics. Because of the lack of interference of other elements – malolactic fermentation, oak, elevated alcohol levels, etc. – one can very easily learn to distinguish the flavor of Riesling grown on schist as compared to slate or limestone. Because Rieslings are grown in such minimal soil on the steep slopes of the greatest vineyards in Germany and Austria, they must derive their moisture from exploring the fissures of the fractured subsoil, mining for water. Vines grown under these extreme conditions, as well as older vineyards (with the deepest roots) will tend to exhibit the highest degree of minerality. It is also believed by some that the putative elevated mineral content of Riesling is implicated in the wine's prodigious longevity." "German Rieslings balance impressive acidity with apple and citrus fruit flavors, and range from dry and refreshing to sweet and unctuous. Alsace and Austrian Rieslings are higher in alcohol, which makes them more full-bodied, but they are quite dry, full of mineral notes. Australia's Rieslings (the best are from the Clare Valley) are zippy and full of lime and other citrus flavors. Those from Washington State tend to split the difference, offering juicy, appley fruit and lively acidity, with a hint of sweetness. Rieslings are extraordinarily versatile with food." "At its best, it offers fabulous floral aromas with crisp and highly flavorful pineapple, apricot, honey and citrus fruit flavors. Known for its crispness, or acidity, even sweeter style Rieslings are not overly thick and syrupy.…Riesling might be the opposite of Chardonnay in style, lighter in body and rarely put in contact with oak, but is more than equal in terms of versatility and complexity. In Alsace, it produces crisp and dry wines for everyday drinking to the truly complex higher end wines, also dry, often needing 5 to 10 years of aging to truly capture the essence of what this grape variety can achieve; Washington State produces similar style." "Riesling is conspicuously absent from the core wine regions of France, Spain and Italy.…Riesling vines cover the steep, slate-rich hillsides above these famous [German] rivers, and are used to make crisp, refreshing wines with pronounced acidity. 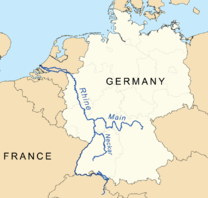 On the other side of the Rhine lies Alsace, once German but now part of France. Here, Riesling is the most important wine grape variety in terms of both quantity and (arguably) quality. Alsace Riesling has its own individual style, richer and more generous than those made in Germany.…Austria also produces a large quantity of Riesling, most notably from its eastern Wachau and Kremstal regions. This is made mostly in drier styles…. The high quality Rieslings now made in Australia's Clare and Eden valleys have proved this with particular competence. Most notably, Clare Valley Riesling has emerged as a style in its own right, with crisp, citrus-scented acidity and aromas of toast and honeysuckle. Just across the Tasman Sea, New Zealand is also making high quality Riesling in each of its South Island regions, while South Africa's Riesling is also showing promise." "Riesling's great attribute is that it combines high natural acidity with tremendous fruit concentration, in both aroma and flavor. Thus, it can produce low alcohol wines of great character, at every level of residual sweetness, wines with incredible aging ability. Riesling's other hallmark is its beautifully expressive bouquet, which suggest flowers, green apples, and honeysuckle blossoms." 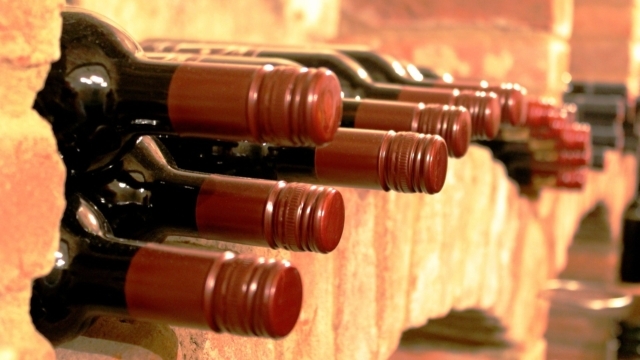 "It comes down to a combination of good acidity, fruit, and low alcohol. Acidity is what gives some punch to flavor, like lemon on a fillet of sole. It also refreshes the palate and keeps your taste buds awake. Riesling has it in spades. But if it were all bracing acidity, Riesling wouldn't be that enjoyable. Fortunately, there's wonderful fruit to balance things out. Finally, most Rieslings are lower in alcohol than many wines, an important factor when pairing with spicy food since too much alcohol accentuates spice. Higher alcohol also makes a wine feel heavy and can overwhelm food. There's one other distinguishing Riesling characteristic; they're "clean". 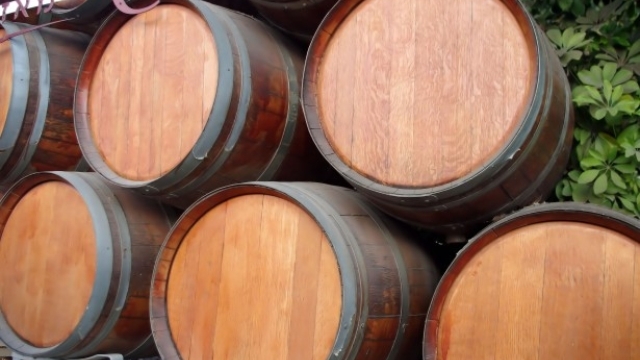 In other words, the wine's quality and flavor is determined in the vineyard, not by the flavor of a barrel it's fermented in (Riesling sees very little oak). As a result, a sense of place and time is present in every glass." Owing to the variety of types and regions, our list is a bit longer than usual—yet still took a lot of pruning to get to size. We have included examples from eight Riesling regions (three lying in the U.S.); that still must miss a number of regional variations in the overseas sources, but it's something to be going on with. By and large, we tried to favor dry versions in making the list, but there may still be some more or less off-dry samples. ♦ The '12 vintage had one overarching feature of high quality riesling in its traditional strongholds of the Clare and Eden Valleys, yet its expression varied considerably from one maker to the next. Here lime juice flavours leap out of the glass, coating the mouth, yet supported by fine acidity. ♦ Pale lemon with high floral notes, citrus and pineapple on the nose. Minerally palate with approachable acidity, lively lemon-lime peel freshness with good depth of passionfruit richness. Racy and fresh on the finish. ♦ Bright straw. Vibrant, mineral-accented aromas of orange, pear skin and white flowers, with a gingery topnote. Dry and sharply focused, offering incisive citrus fruit and floral flavors that are underscored by chalky minerality. Finishes dry and long, with resonating orange zest and jasmine qualities. 12% alcohol here. ♦ Light and silky, with pretty pear and quince flavors set on a delicate frame that lets the finish play out with finesse. Shows depth and delicacy. ♦ Bright and juicy, with bracing acidity against lightly sweet, expressive pear, apricot and quince aromas and flavors, remaining vibrant as the finish persists. ♦ I don't like to play favorites, but I can't help but gush over today's bottle, the 2011 Eroica Riesling, a superlative vintage from Washington state. Begat out of a partnership between two prominent Riesling producers (Dr. Loosen of Germany and Chateau Ste. Michelle of Washington state), this Washington-bred white marries the best qualities of the pair, resulting in a complex and eminently drinkable wine. Its intensely crisp and fruity perfume (think citrus and white peach) is well balanced by lingering minerality and moderate acidity on the tongue. While this bottle isn't cheap per se, it's an excellent value, and a bottle that I'd happily pay more than its moderate price tag for. ♦ [It] is up-front accessible and suitable for easy sipping. A cooler growing season rendered a piercing acidity – core to any quality Riesling – that extends an inviting hand to food pairings and boosts intensity in the glass. There’s enough limey tartness and minerality to round out the grape’s cloying tendencies, delivering it from the too-sweet rap that fixates a lot of drinkers. That’s not to say it’s an experiment in austerity. Not even close. While there is a lean frame to the wine, it unfurls with ripe aromas, fruit and a spicy bite. ♦ The 2007 Eroica Riesling, made in collaboration with the Dr. Loosen estate in Germany’s Mosel region, is light to medium straw-colored with fragrant aromas of spring flowers, mineral, and honeysuckle. Crisp and just off-dry, in a Kabinett style, it delivers flavors of melon and pineapple. The wine is balanced and vibrant and may well evolve for several years in the manner of a top German Mosel Kabinett. It can be enjoyed now and over the next 5-7 years. ♦ From a dynamite vintage  this is the delicious off-dry Riesling offspring born of a partnership between two prominent Riesling estates, Chateau Ste. Michelle in Washington and Germany's Dr. Loosen from the famed Mosel wine growing region. Guaranteed to be a palate pleaser from start to finish, the Eroica Riesling brings beautiful balance, unmatched elegance and food-friendly acidity to every sip. ♦ I’ve tried the Eroica Riesling a few times before — it’s consistent ever year. There’s definitely more residual sugar in this wine than in [a comparison Old World] Riesling, though. I swim upstream on Riesling, and prefer a bone-dry style, so my nod went to the [Old World Riesling]. The nose on the Eroica is more subdued, a big whiff of peach cobbler. Flavors are green apple and key lime pie with trace mineral notes. Well balanced acidity. ♣ This wine is at least off-dry and arguably semi-sweet or even more. ♦ Light yellow in color, the wine is similar to the Estate Riesling, displaying a beautiful floral bouquet, accented with apple, peach, spice and slate. The pure fruit is slightly sweet and showing more concentration and richness and a longer finish –- Highly Recommended Plus. ♦ This has an enticing lushness and good concentration to its Bosc pear, Fuji apple and black currant flavors. Racy acidity backs it all up and carries through to the rich, spicy finish. ♦ Lush, decadent ripe stone fruit aroma with a delicate floral note; rich and concentrated with lovely ripe honeyed fruit flavors. ♦ Our best value was the Ürziger Würzgarten from Mönchhof, which showed great balance between fruit, minerality and acidity. ♦ Scents included oil, vegetables, apples and pears. We tasted the vegetables, oil and sugar on a heavy palate. It was very floral, with tastes of spiced pears and pineapples. My panelists were split on whether they liked this wine. Tasting somewhat like a gewurztraminer, this wine was heavy with good acids. ♦ Medium green-yellow. Inviting fragrance of pineapple and passion fruit drizzled with lime blossom honey. These aromas open generously in the mouth and are joined by peach, mango and grapefruit zest. Refreshing acidity is nicely integrated into the wine's medium body, but the finish could use more length. Leaves behind traces of honey, wet rock and citrus fruit. ♦ Medium green-yellow. Captivating aromas of ripe peach, apricot, pineapple, apple blossom and lime zest. Racy acidity toys with the sweet extract and wet-slate minerality adds nuance. Mouthwatering finish. ♦ The Felser Weinberge have a gravelly soil with high iron oxide content, giving the soil a reddish tint. The 2009 Riesling has a floral aroma with a very dominant pear character. The pear is also quite pronounced on the palate, but balanced by more minerality. Medium length with a spicy and floral finish, which nicely echoes the aroma. ♦ Spicy and floral, amazing wine. ♦ [T]he Leth 2009 Riesling Reserve Felser Weinberge was stunning with the zucchini blossoms. Here, zinging acidity trumps the residual sugar you find in Mosel (Germany) Rieslings . . . This wine is bone-dry, crisp and refreshing, and ideal for the more intense and spicy flavors . . But with a restrained 12.5 percent alcohol (however higher than the typical alcohol content you find in sweeter, German Rieslings), I didn't hesitate to order a second glass to quench my thirst after scarfing down those zucchini blossoms. ♦ The nose is subtle showing ripe pear, some waxiness, a hint of spiciness and petrol minerality. Open knit and slightly sweetish on the palate with a bit of lemony acid on the finish. Excellent length. This was my last bottle, and it is starting to lose its vibrancy. [2000 vintage] My Rating: 92 when first drunk in 2002, now down to 90 [in 2004]. ♦ Surprisingly, I tasted my first Wiemer Riesling just about a year ago and again a few months ago I enjoyed a few glasses of the 2010 Dry Riesling, so I was very elated to find this one  available so soon. Aromas of orange zest, some citrus and a little grapefruit were very aromatic, but I failed to get any of the mineral aromas I have become accustomed to in Finger Lakes wines. There was a hint of that mineral in the mouth with lots of grapefruit and some sugar plum and key lime pie. A very soft mouth feel and an extraordinary long smooth finish. Not your typical Finger Lakes Riesling, but a World Class Riesling. . . [T]he Hermann J. Wiemer 2011 Dry Riesling is a standard that will be hard to beat. Very Highly Recommended. ♦ As we recall, 2012 was a fairly warm vintage albeit with very cool night temperatures during the fall which helped retain the acidity in the grapes. Medium intensity of stone fruit aroma with a strong sense of minerality. Ripe and clean. Dry on the palate, medium alcohol and body. Medium(+) acidity. Medium intensity of yellow apple flavor, citrus and stones. Medium(+) length. What would be the right word - accomplished? The 2012 Dry Riesling tastes as if it had already spent a year in bottle. It is quite refined and perfectly balanced, even has an elegant touch of bitterness on top of the ripe fruit flavors. A very, very enjoyable Riesling under $20. ♦ This pale yellow colored Riesling opens with a mild tangerine like bouquet with a hint of banana. On the palate, this wine is light bodied, balanced and very east to enjoy. The flavor profile is a gentle green pear with hints of mild peach and white pepper. The finish is dry and its flavors fade away nicely. This dry styled Riesling is very food friendly. ♦ Apple, floral blossoms with lemon and lime on the nose. The palate starts with bright tangerine, lemon flavors followed by crisp green apple notes on a backbone of crushed rock. A firm mineral, citrusy acidity lasts through to the finish which is long and lingering. A beauty, so refreshing and just the slightest hint sweet (0.9% RS) to add a pleasant richness to the palate. Mouthwatering to the last drop which you are sad to see go. This one is worthy of a case buy if I can find it. ♦ Fred Merwarth, the talented winemaker who took over from the founder a few years ago, produces a highly consistent and delicious range of rieslings, using a natural and well-reasoned approach that gives the wines a clear and crisp expression, faithful to the German style that has characterized the winery since the beginning. This 2009 Dry Riesling is . . . from a vintage that produced structured, high-acid wines. It is another successful cuvée, with a beautiful citrusy and slightly floral nose, great freshness and yet a lot of substance, mineral character and weight. Hard to resist now, it will develop well over many years. Highly recommended. ♦ [I]t had a sleek texture and translucent golden hue with a flavor that strikes me as indulgently ripe with the fine precision of their earlier harvested Riesling. A foot in both worlds, a flavor in another place entirely. In a good way, though, with a honeyed edge brimming with orange zest and a persistently peachy undertone all alongside a zippy acidity keeping us on our toes in the wee hours of the night. An easy drinker, like the rest, somewhat stilted in complexity for now and a bit harsh, but I’m confident that this can only improve with time. Its airy, acidic nose with mineral-heavy, saline base notes tantalized me more than its flavor, but it still carries the classic Wiemer Riesling profile of lime, apricot, orange, and salt. A wonderful combination if done well. ♦ It has really nice structure that presents the flavors of the Riesling grape in a very nice way. A lot of German Rieslings are more unctuous almost syrupy that is good but I enjoyed this style a lot. . . I would agree that they do very well at producing a wonderful wine that that has "hints of lime and orange blossom on the nose set the stage for a succulent palate of apricot and grapefruit" that has "a beautiful texture that carries into a long, lingering finish." ♦ This 2009 Riesling seems a particularly fruity rendition, more forthcoming and less minerally-austere than this wine can sometimes be when young. The compelling aroma suggests tart citrus, wet stone and floral perfume. In your mouth, the wine is bone dry and at first seems mouth-filling and soft, until the wine’s high acidity registers in the mid-palate. Flavors of lime, apple and peach are vivid; the wine also has plenty of minerality but for now, those characteristics are lurking along the edges rather than revealing themselves front and center. The wine is crisp but its texture suggests oiliness, lending the wine far more substance than most dry, crisp whites. When I tasted this wine blind, I actually considered for a split second that it could be contrived, because of its improbable combination of lightness, fullness and pronounced flavor. (It has exceptional balance of the sort that a technically-oriented winemaker would aim to achieve.) I mention this to say that it was, literally, incredibly good. As delicious as this wine is now, I have no doubt that it can develop nicely in the bottle for three or more years, because Trimbach’s Rieslings are famous for their longevity. 90 points. ♦ The 2010 Trimbach Riesling begins with a very pleasant aroma of tropical fruit and a bit of almond along with some floral notes. Tasting the wine reveals rich tangy fruit (granny smith apple, lemon and quince) with lots of depth. It also has a wonderful texture with a zesty minerality and crisp acidity. The wine is definitely dry, but still fruity. It ends with lots of tangy, zesty, salty fruit that lasts for a long time on the dry, clean finish. A Bulk Buy once again! ♦ Trimbach Riesling is a great wine at any price. . . The bottle lasted three days – and the may have even more longevity if I wasn’t so heavy-handed with the sample pours. On the first day it was citrus, spice and gasoline. Yes, gasoline. When you see tasting notes that say “petrol” this is what they are tasting. Eric Asimov of The New York Times exhorts American wine writers to stop using the word, because when was the last time you said, "I need to put petrol in the car?" And the gas component in the wine was delicious. On day two and three the gasoline had evaporated, leaving a glass of citrus and stone fruit. ♦ The Trimbach 2007 Riesling – from purchased fruit – boasts unusually high (7.9 grams) acidity that translates into positive brightness of lemon and pineapple, and finishes with invigorating and lasting suggestions of citrus rind bittersweetness, tingling pineapple, and chalk dust. ♦ Trimbach's 2010 Alsatian Riesling delivers exceptional citrus character with classic stone fruit, deep minerality, and a dry, refreshing finish. Lively acidity, clean cut flavor, remarkable balance, and a bit more weight on the palate result in a classic Riesling from Alsace. ♦ Pale bright yellow. Restrained aromas of ginger, caraway seed, underripe pineapple, flowers and crushed stone, with a riper note of peach emerging with air. Dense, juicy and penetrating, with good texture and weight for a basic bottling. Finishes a bit warm, but there's no shortage of flavor here. ♦ This subtle Riesling offers a finely woven mix of white peach and crushed pine needle flavors, with hints of brine and smoke. There's racy acidity, but it's well-meshed, and a mineral note lingers on the delicate finish. ♦ Pure, subdued aromas of citrus peel, flowers and menthol. Pure and intense for this basic-level riesling, with good grip to the very dry flavors of white peach, lemon, flowers and minerals. . . Finishes with good length and focus. ♦ The 2014 Giesen Riesling, made in the medium sweet style is quite appealing. Perfect with Asian style chicken salad, with sesame and an accent of chili oil. Light straw color, really pleasant fresh fruit aroma, flowers, apples and blossoms; light bodied, smooth on the palate, good structure; medium sweet, medium acidity, good balance pleasing, delicious apple, flowers and a bit of mineral in the flavors; medium finish, easy aftertaste. http://www.airnzwineawards.com/default,10482,giesen-riesling-new-zealand-2015.sm♦ An impeccably composed riesling filled with citrus and subtle toasty notes with fine texture and perfectly pitched acidity. Awarded "Elite Gold" medal. ♦ Voted by the judges as their favourite Riesling, which is very high praise indeed, and it's not hard to see why. Fresh and vibrant with lime zest and sweet apricot notes balanced by crunchy acidity. ♦ The Giesen Riesling 2014 is a delightfully juicy white wine. A pale straw yellow in the glass, the nose shows mouthwatering orange blossom, lime, tangelo, honeysuckle, and lavender. The palate is succulent, with fresh citrus flavors and a vibrant acidity. The texture is clean, crisp, and juicy. ♦ Strong petrol wafts up in the nose, a sweet tinge crosses the palate, and the finish is dry with a bit of an acidic bite. Even a few tannins creep into this wine. It has the longest finish of the three [simultaneosuly tasted Rieslings]. ♦ The bouquet of this lighter hued wine abounds with the scent of tropical fruit and perhaps a touch of lychee. Full of flavour in the palate with honey, apple and tropical fruit including cherimoya and yellow guava. A blend of Marlborough and Waipara fruit, this lower alcohol, medium sweet style will relish chilling — it’s one for blue sky summer sipping. ♦ The wine was dry and absolutely delicious and a big surprise to me. Like a good Austrian riesling, it’s for lovers of gravelly, minerally flavors rather than overtly fruity wines. ♦ A vibrant, fresh take on honeydew melon, lime zest, kiwifruit and apple flavors, with a racy finish. Drink now. ♦ The 2012 Trefethen Dry Riesling was fermented and aged in stainless steel. It is a classic dry Riesling: Bright in its focus, crisp and dry, notes of jasmine, orange blossom and lime on the nose that lead to floral flavors on the palate, delightful acidity and minerality, with a clean, lasting finish. Dan Berger: "Classic Riesling aroma with a trace of jasmine spice, bright and lilting. Always a phenomenal wine...." At the 4th Riesling Rendezvous, the 2010 Trefethen Dry Riesling, was one of the 20 wines of the International Riesling Tasting (Dry), which was a blind tasting. Neil Pike [see "Pikes Traditionale Riesling", above] reviewed the wine: "Classic wine, citrus, a lot of texture, a bit of pair flavors, we are in the New World I think." ♦ Very pale gold in color, this dry riesling from Trefethen is California riesling at its finest. Very Fragrant on the nose, with aromas of peaches, white flowers, granny smith apples and grapefruit. Though very crisp and dry with flavors of tart apple, kiwi and citrus, there are rounder flavors like peaches, cantaloupe, honey, and even a little fennel. With just a hint of sweetness more felt than tasted, this wine pairs nicely with the slight sweetness of pumpkin and carrots. This is also a fairly light-bodied wine at 12.5% ABV, which is nice when served with a first course such as this. ♦ Bright, fresh, lemony and apple flavors hit our tongue and the wet slate, minerality was just what we hoped for. In this bottle was exactly what we like to bring to a party, something approachable but different than the average bottle of white. ♦ This Riesling actually tastes off-dry, to judge by the honey and vanilla bean sweetness that accompanies the citrus fruits. It's brisk in acidity and refreshingly low in alcohol. Continues a string of successful, restaurant-fancy Rieslings from Trefethen. Unless you want to go to $125 and up (for Trimbach's "Clos Ste. Hune" Riesling, colorably the greatest white wine in the world), a good "reasonable" splurge would be Trimbach's still-famous "Cuvée Frédéric Emile".